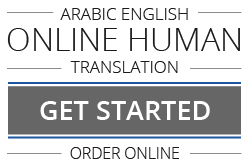 The Arab world endorses and approves the Legal Translation Services executed by our professionally experienced translators for its preciseness, exactness and reliability. Our Translation services in Muscat, Seeb, Salalah, Bawshar and Sohar, particularly our Arabic to English and English to Arabic Translation of Arab Official Gazettes Tables of Contents, Memoranda of Association, Death Certificates, Birth Certificates, Marriage Certificates, Divorce Certificates, Laws, Contracts, Powers of Attorney, Deeds, Academic Certificates, Court Pleadings & Judgments, Wills, etc. are highly commended by reputed law offices for timely Legal Translation Services in Oman.